Measurements markings are made on the wood. Excess part of the wood is scraped out leaving the surface smooth and even. White is painted as a base paint and later light yellow color is painted. 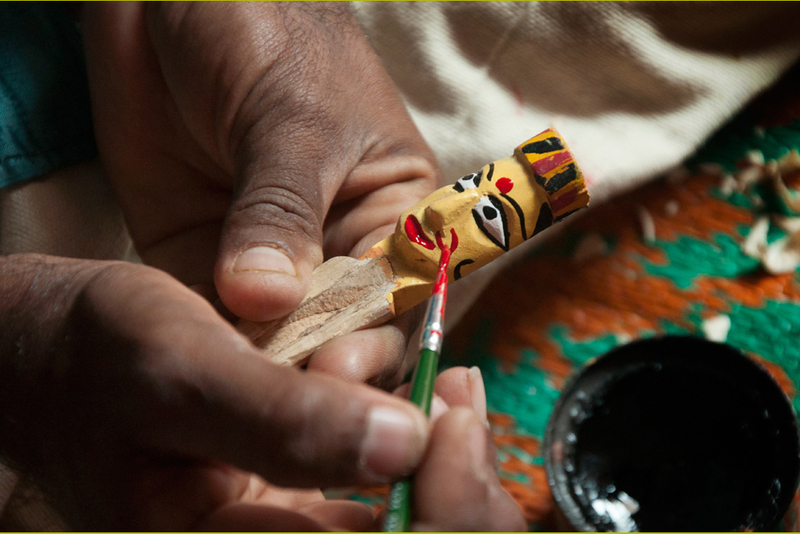 For female character nose ring and bindi is painted. 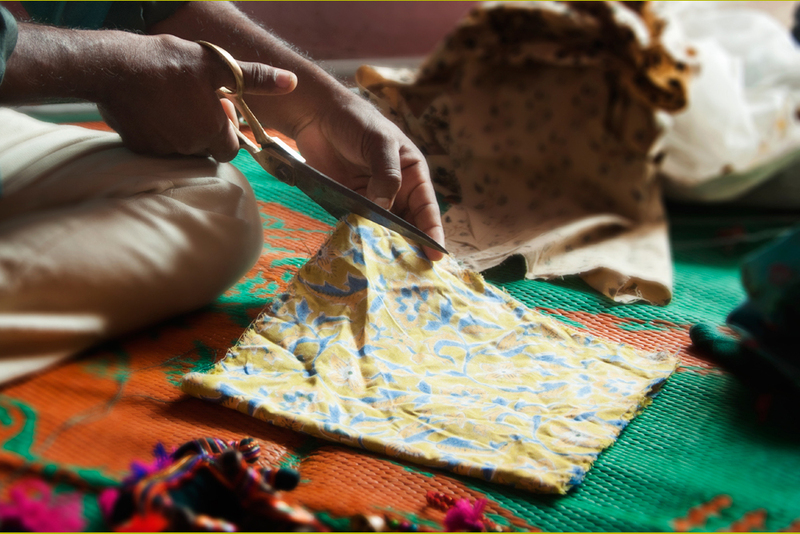 Required size and length of the fabric is cut using scissors. 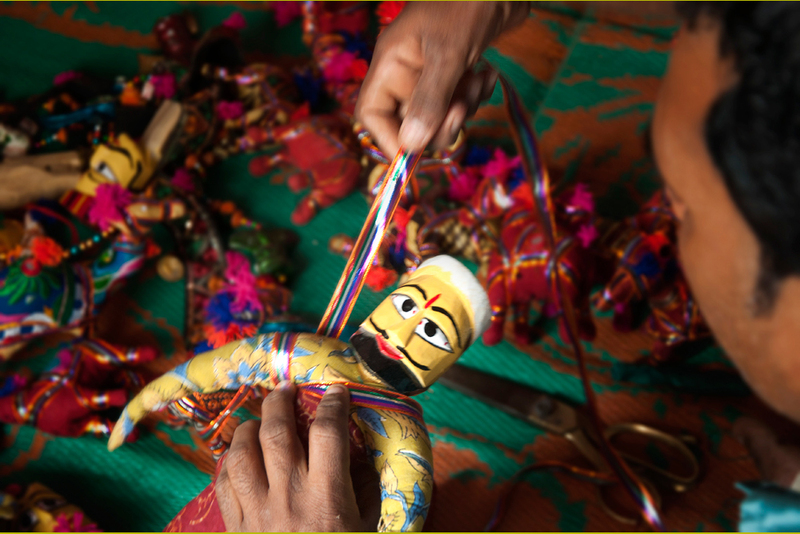 Stitches are covered as well as the puppet is decorated with colorful ribbons. Upper part of puppet’s body is completed. Fabric shaped like a long skirt or pants are attached with the upper body. Finished products of the puppets depicting various characters for the puppet show. 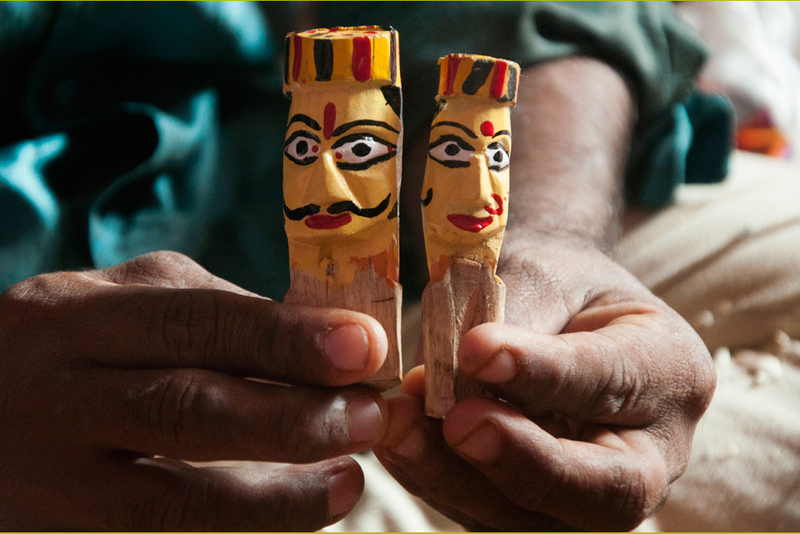 Gulmohar wood is generally preferred for the puppet making to carve out the different expressions of characters. 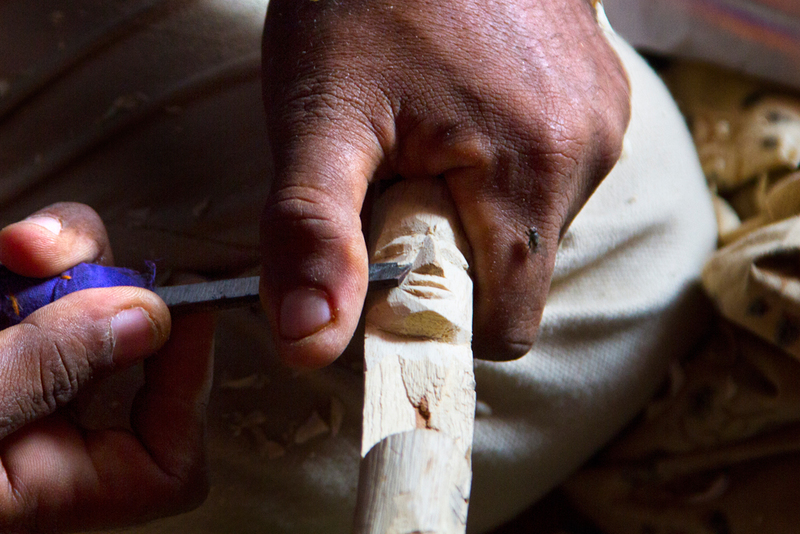 Initially the nose, mouth part of it is curved out and then the eyes portions. 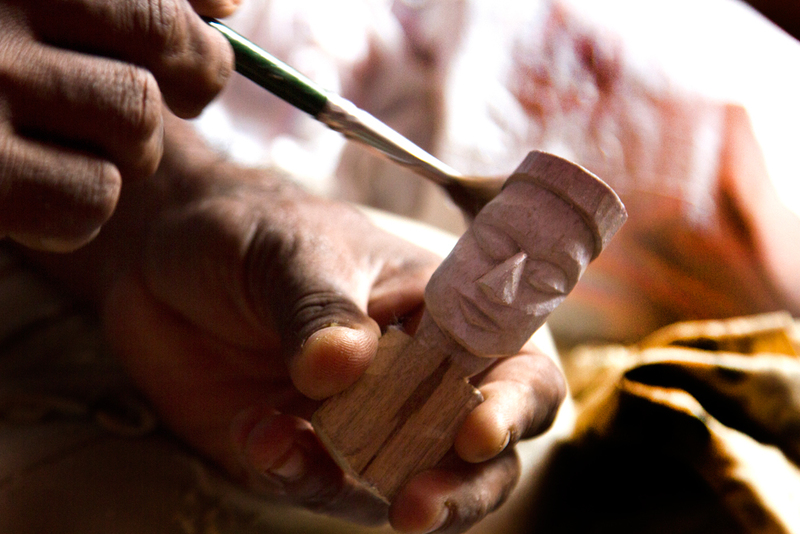 After the head portions are carved then little portion is left as neck. It is then sand with sand paper for smooth finish and a coat of premier wood polish is applied to protect from decaying. 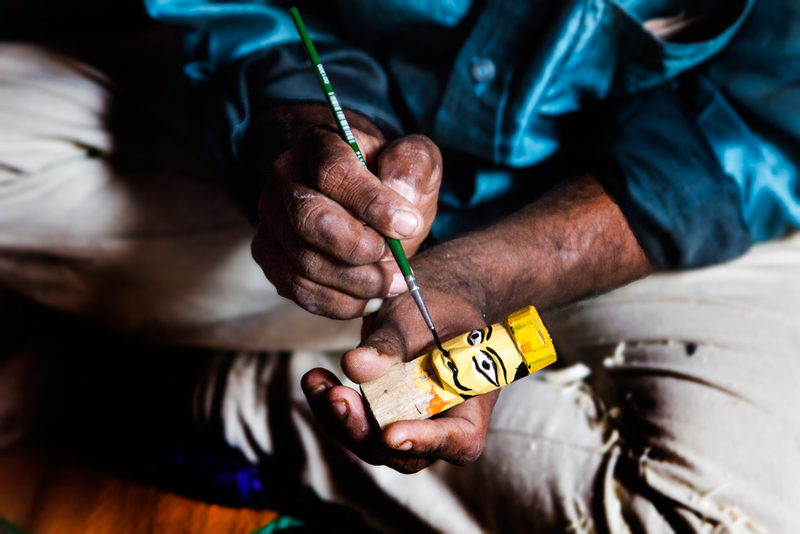 After the wood piece is dried, it is painted with vibrant colours as per the characters to be played. 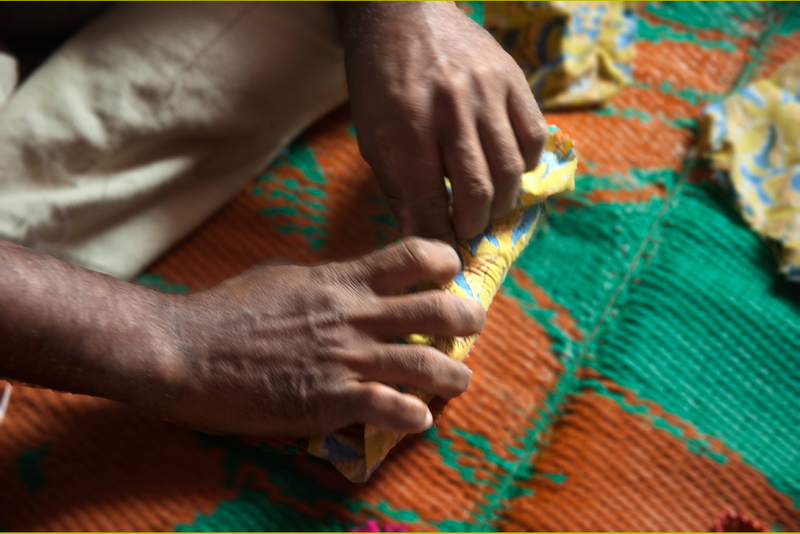 Hands are made separately with cotton, silk or polyester and filling materials. 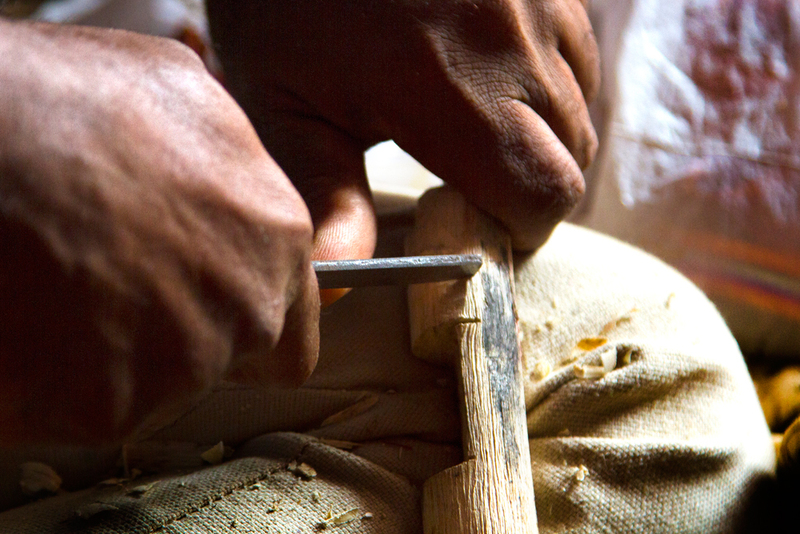 It is then tied and stitched to the wood piece. 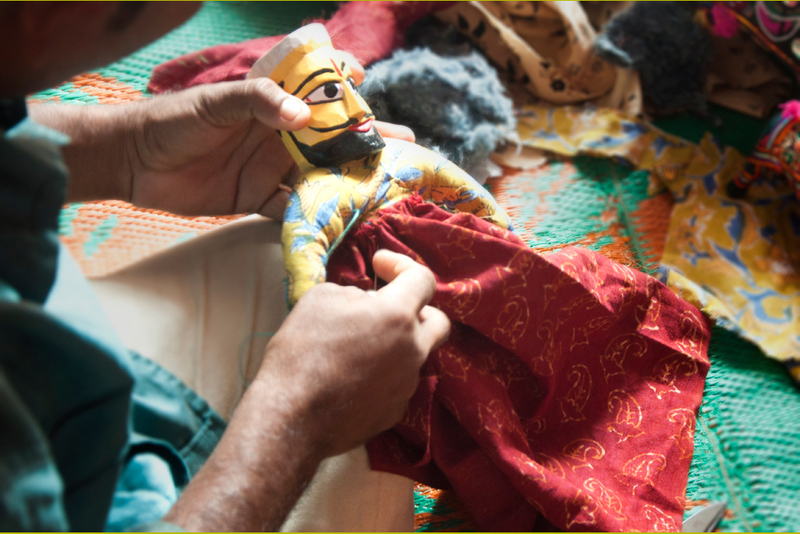 Cloth materials matching to the characters are selected and stitched throughout to enhance the look of the puppet. 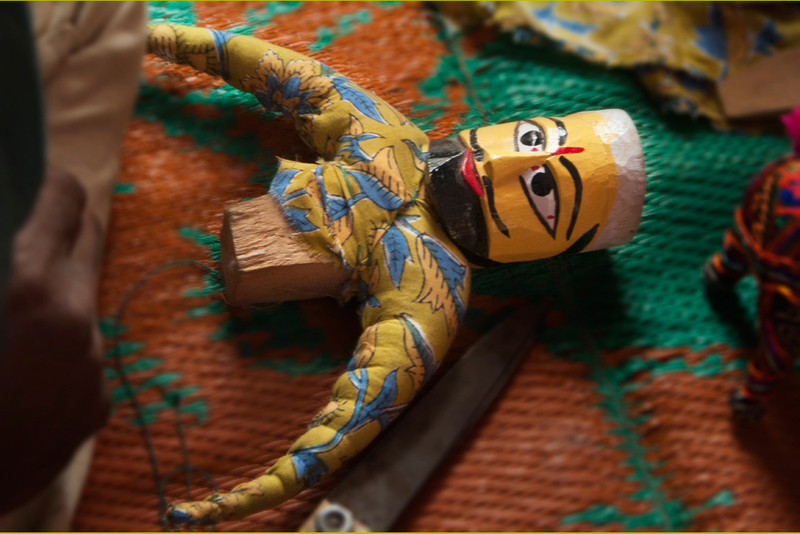 The wooden and cloth portion is stitched with the cloth material as a belt then rounded with the fancy laces in an artistic manner. 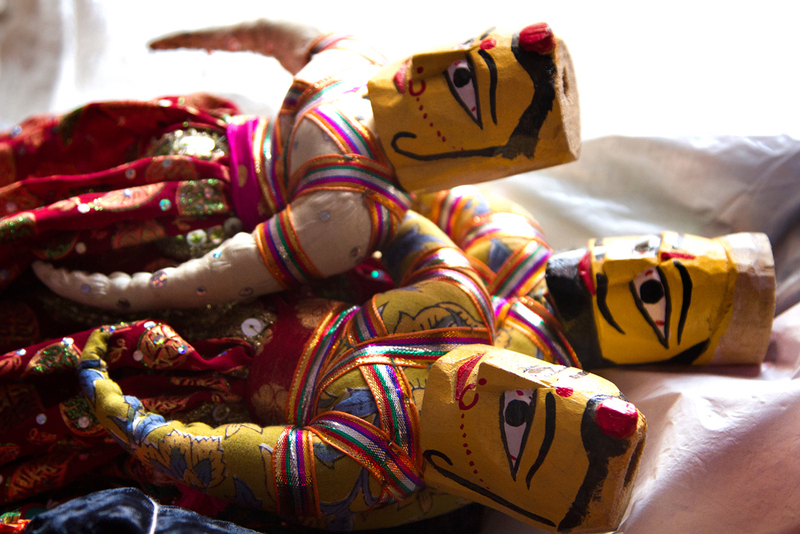 The puppet is then tied with the required length of twins to lift and lower the puppets as per the movements.